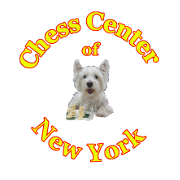 Welcome to The 53rd Greater NY Scholastic Chess Championships! US Chess’ Longest-Running Scholastic, since 1966! Unclaimed trophies: Please contact Larry Brown at Crown Trophy Company in Brooklyn to make arrangements for paying for the shipping charges to receive trophies or plaques which were not claimed during the Award Ceremonies at the tournament: Call 718-769-4111 or 718-769-4112. Play at the Brooklyn Marriott! We are very happy to again be able to invite every interested scholastic K-12 chess player to come and experience our annual Chess Championships at the beautiful Brooklyn Marriott Hotel, on 333 Adams Street, about 5 minutes drive south of the Brooklyn Bridge, near Borough Hall. Subway stops are just a short walk away; The A, C, F, N and R trains stop at Jay Street Metrotech while the 2, 3, 4, 5 trains stop at Borough Hall. A map and more info about transport and parking can be found on our Travel page. If you wish to stay overnight at the hotel, make a reservation online here or call 877-303-0104 by 12/17/2018 and ask for the $174 chess tournament rate (subject to availability). Most things will be just like last year; The same sections, time controls and round times. Note that this year we may have to limit participation if we go much higher than 1500 entries! Our January 4th Friday Blitz Booster will as always be open for all, adults as well as scholastic players! Sign up is on-site between 6:30 and 6:50 pm. Questions about the tournament: director@gnyscc.com. Questions about the website: webmaster@gnyscc.com.